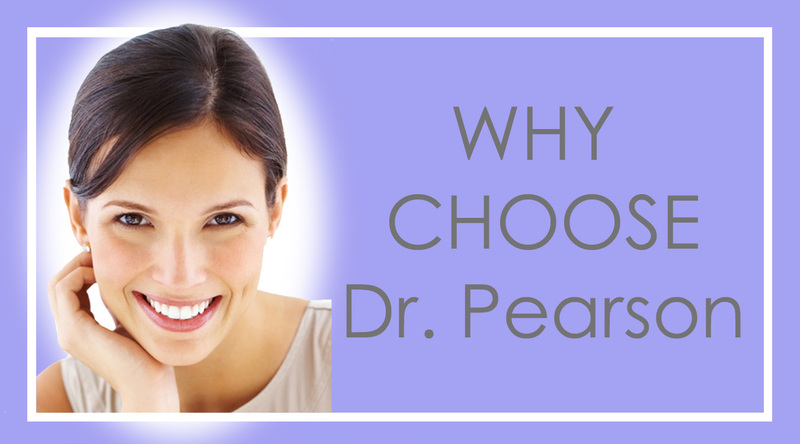 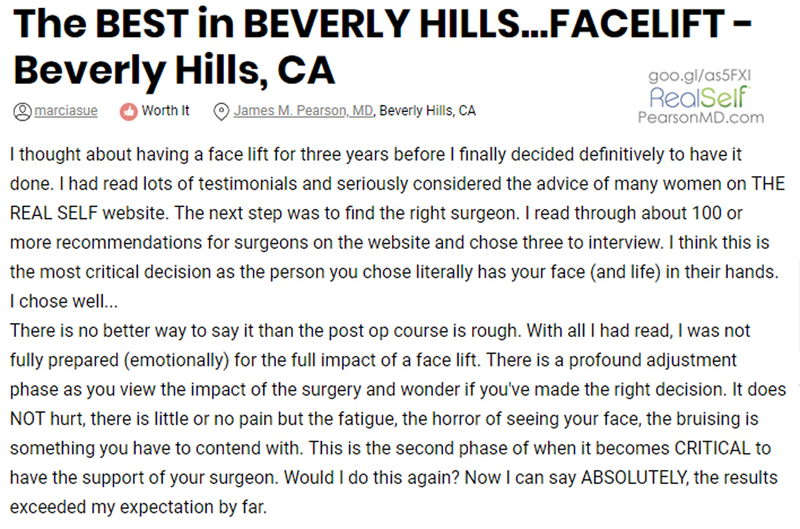 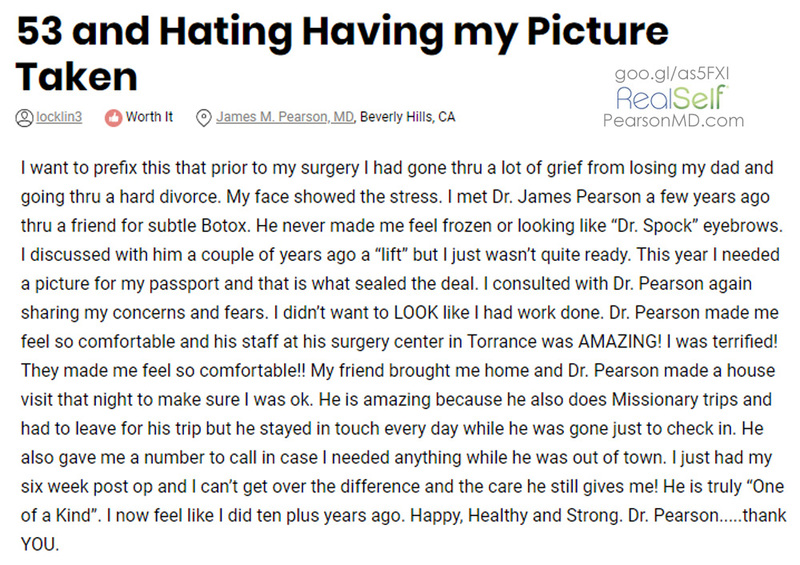 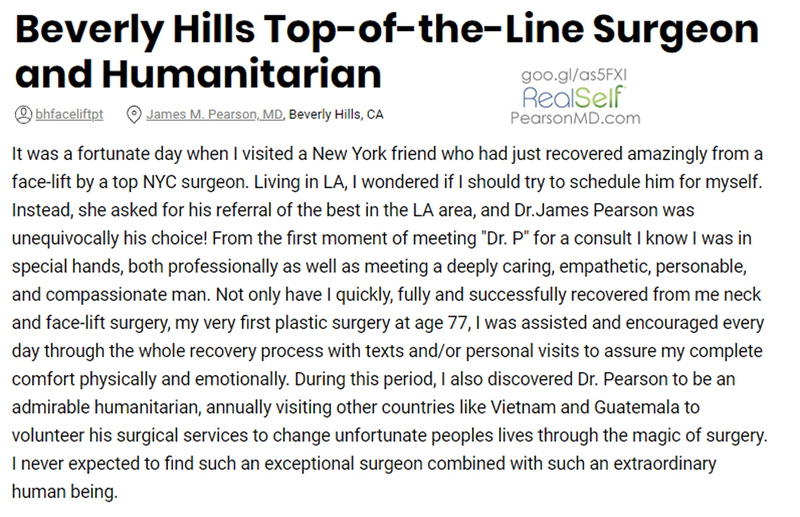 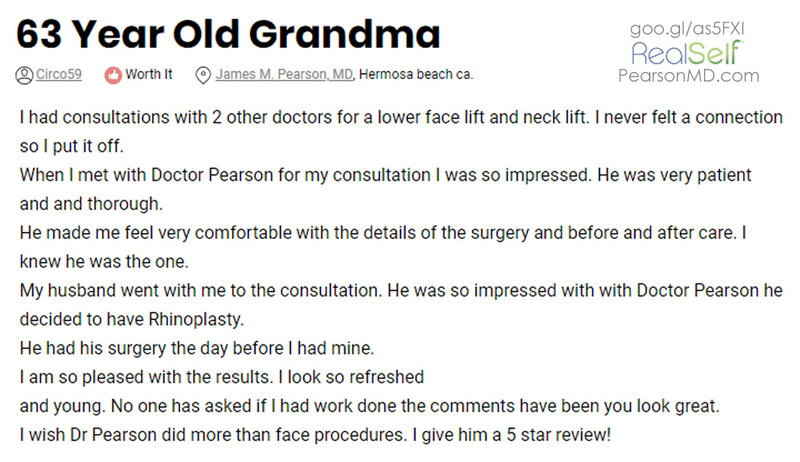 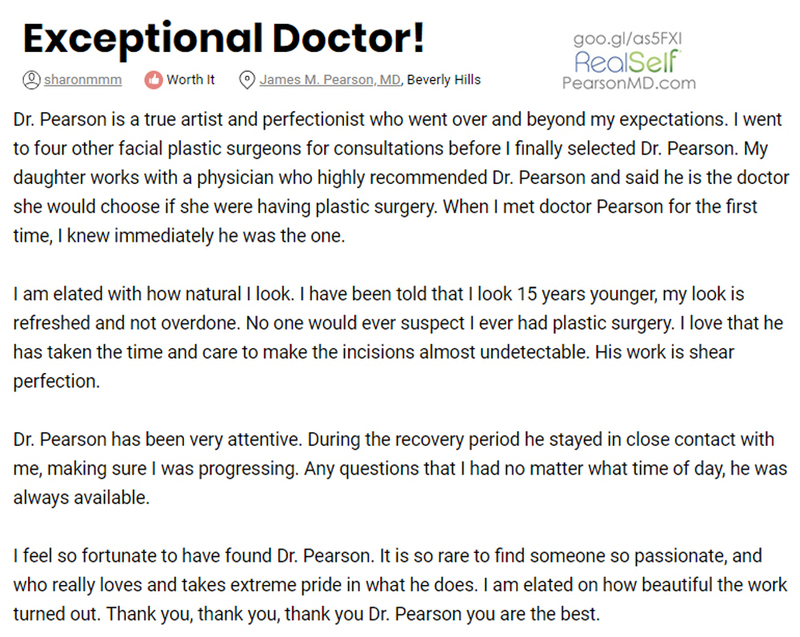 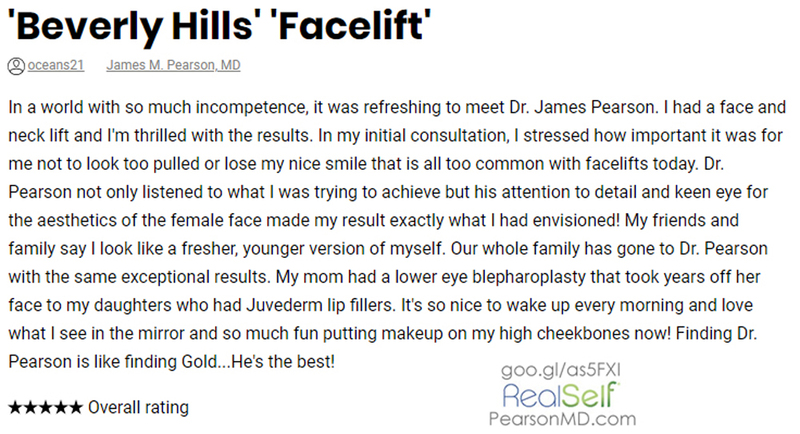 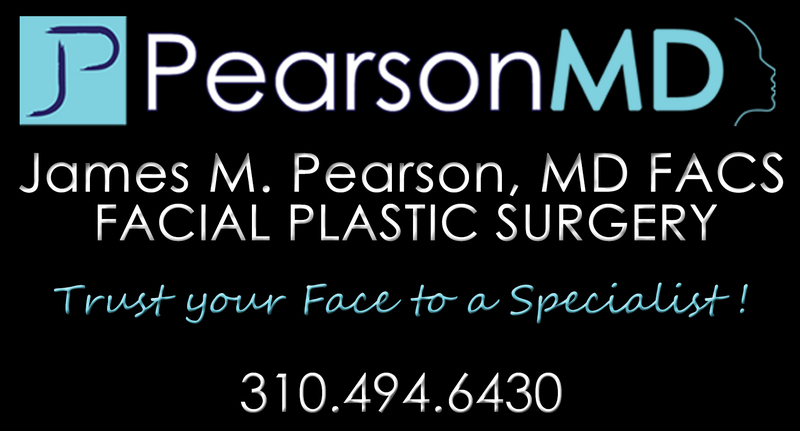 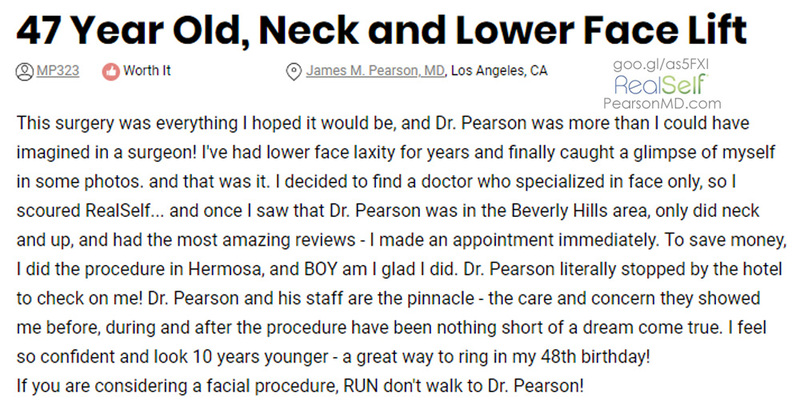 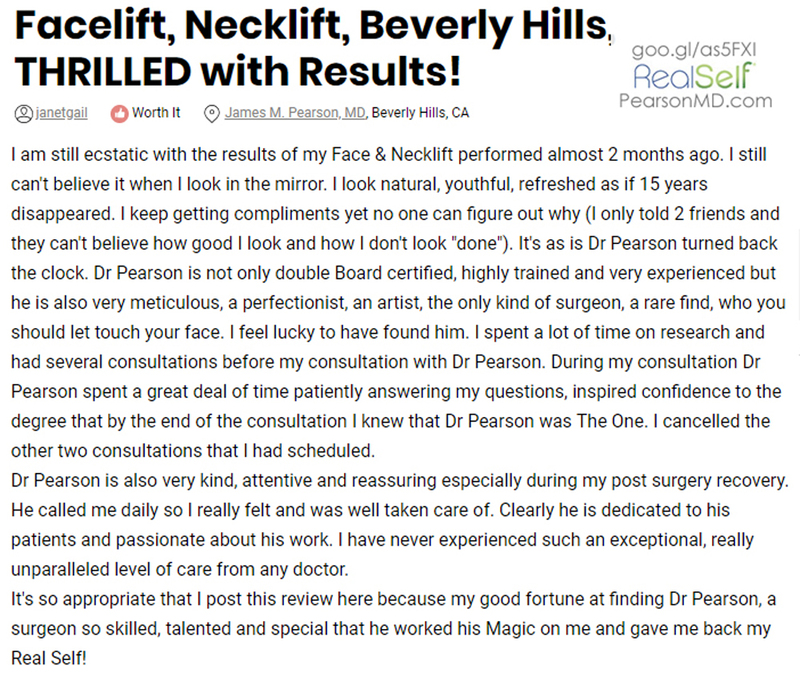 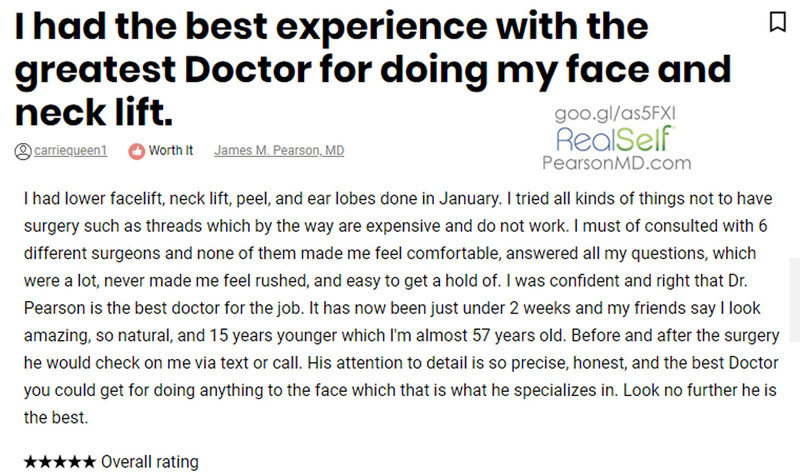 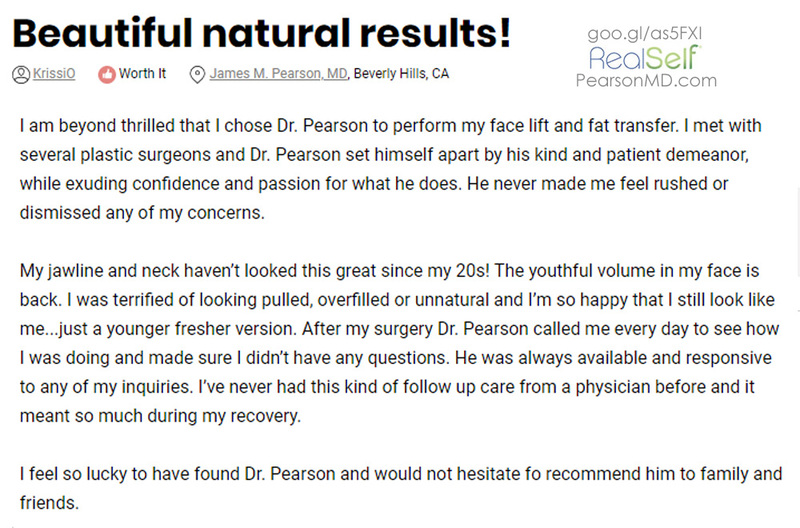 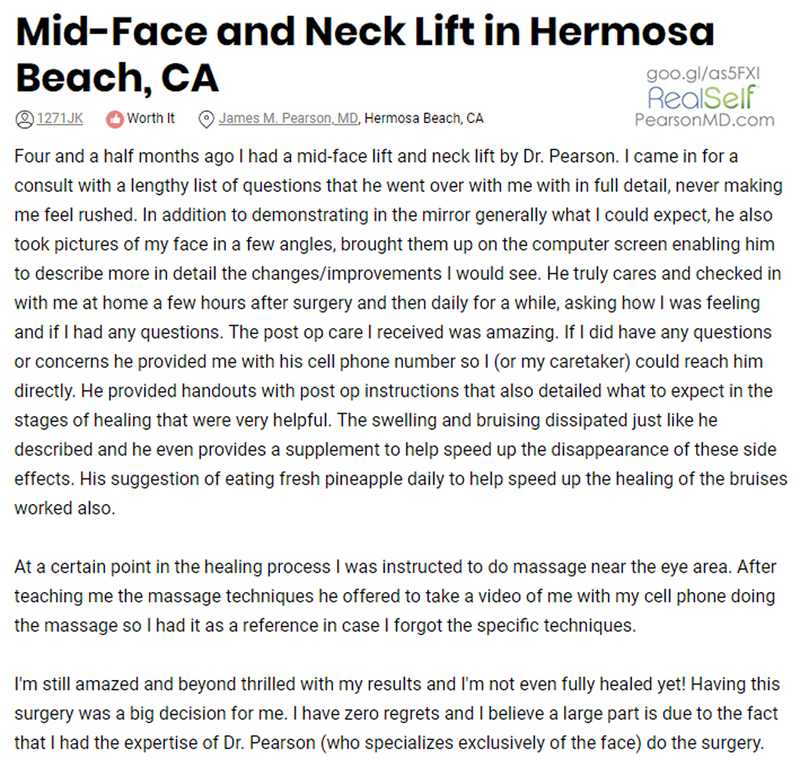 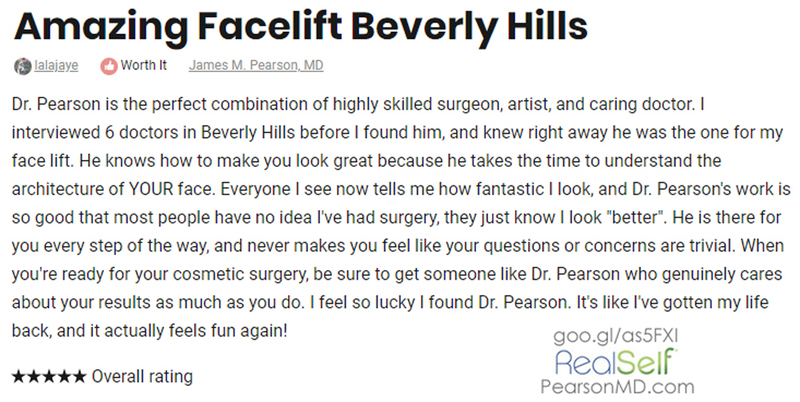 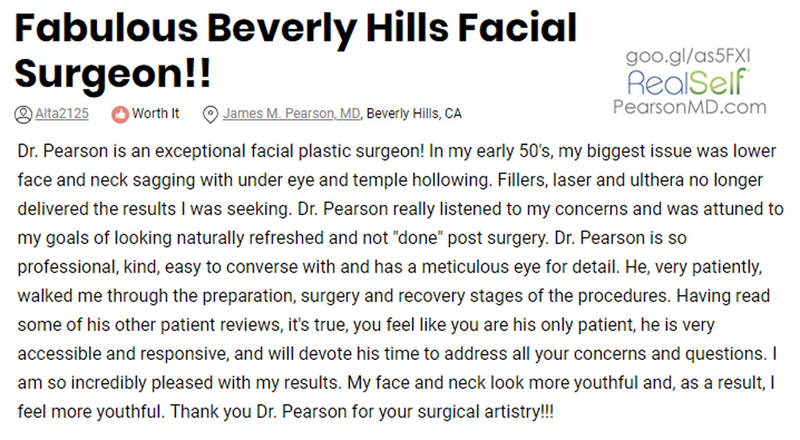 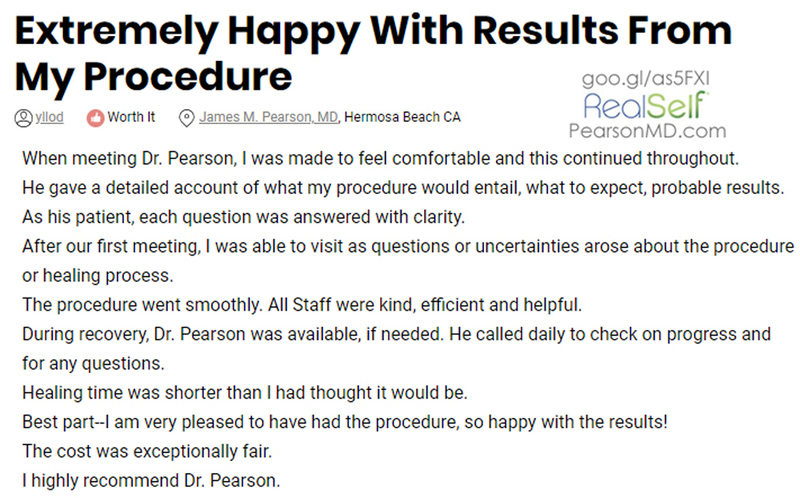 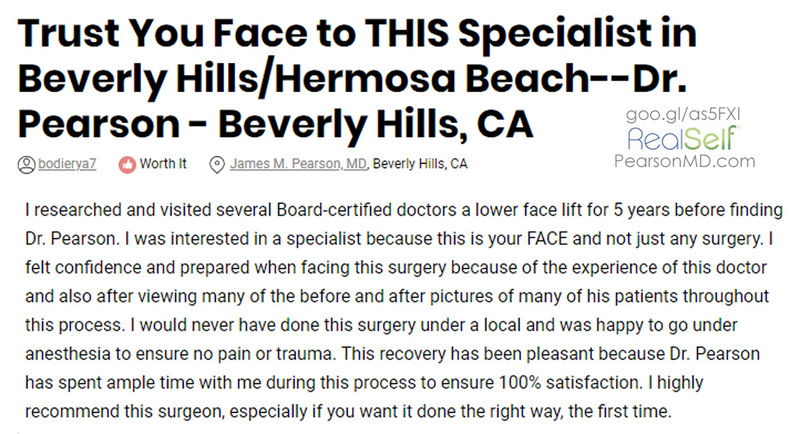 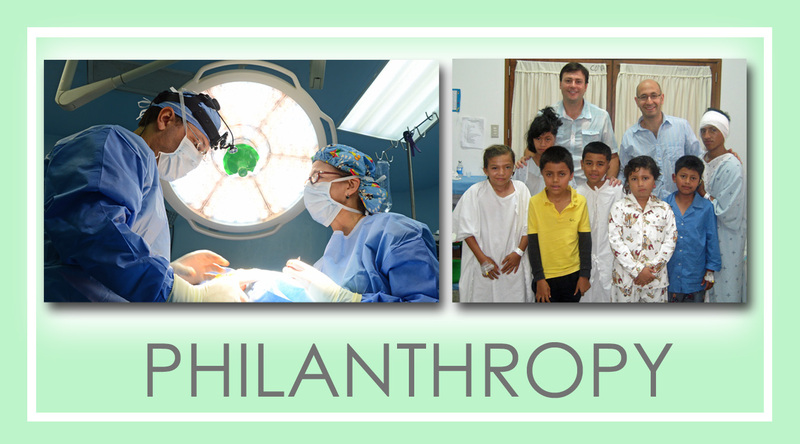 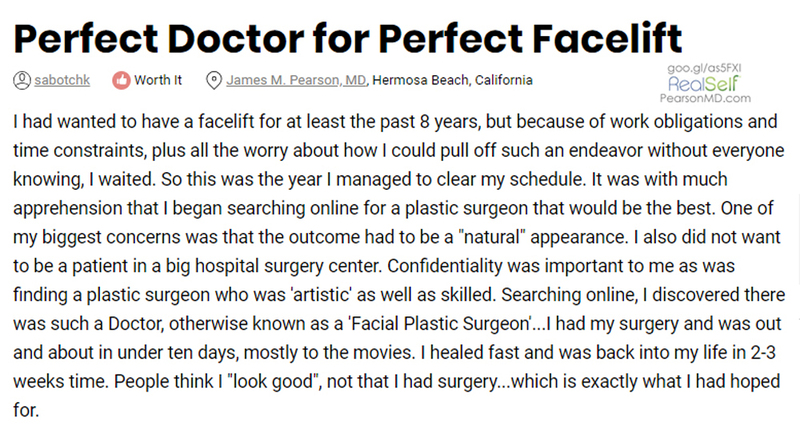 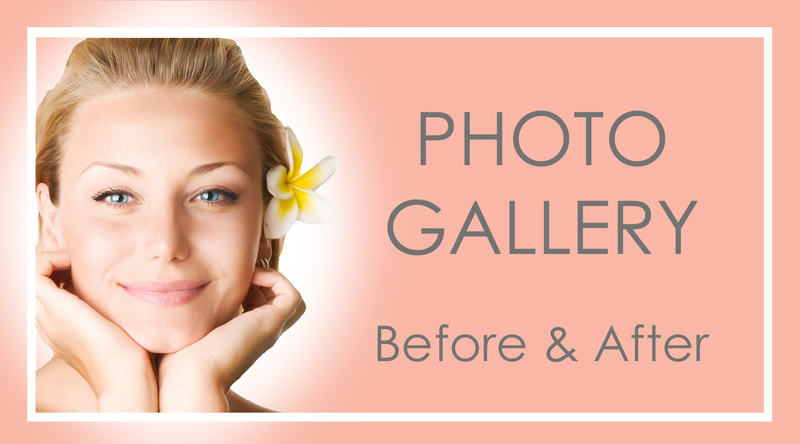 See what our patients have to say about their Facelift experience with Dr. Pearson. 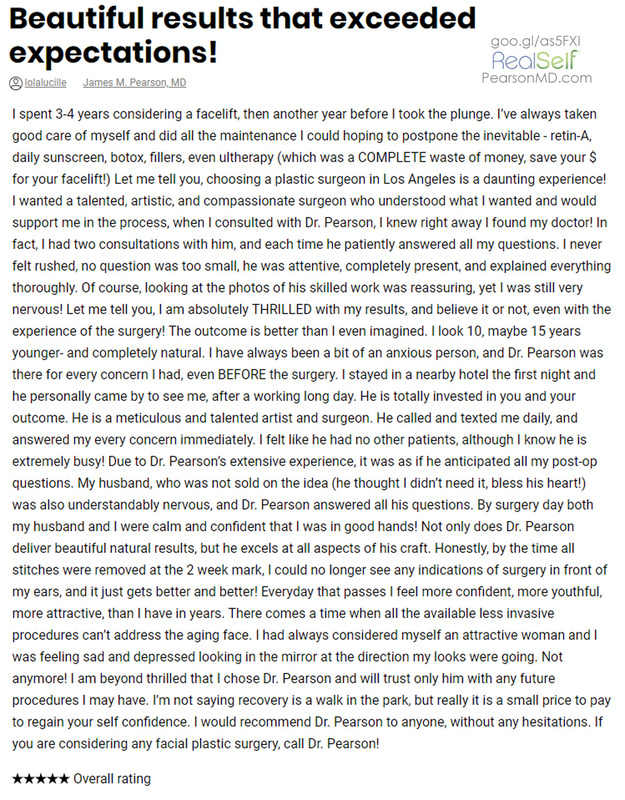 Reviews below are from independent review sites as indicated. 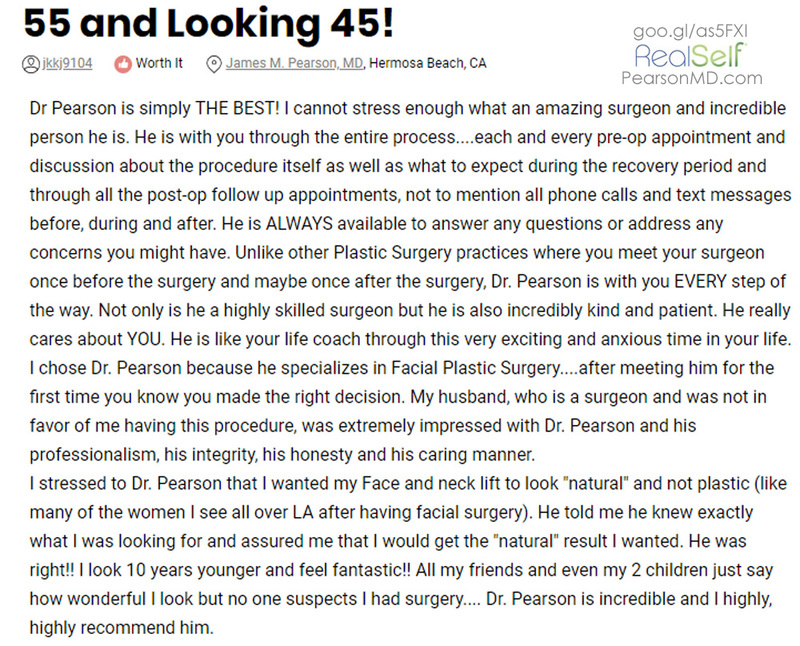 You may view reviews at their original location by visiting the URL contained within each review. 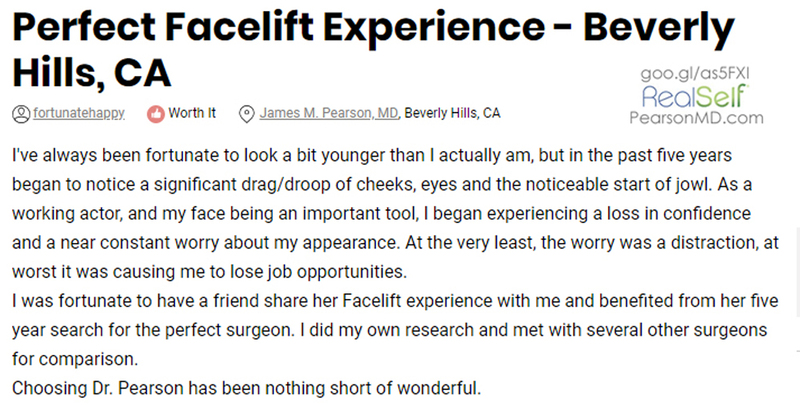 Disclaimer: Results and patient experience may vary.